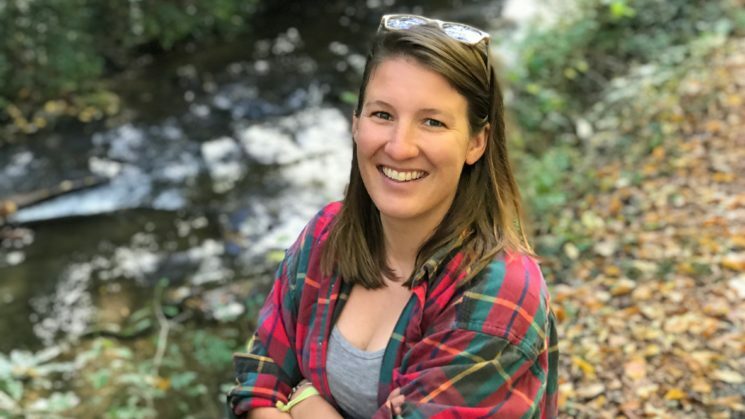 Erin Voigt, a doctoral student at North Carolina State University, is the recipient of the 2019 joint fellowship from North Carolina Sea Grant and the Albemarle-Pamlico National Estuary Partnership, or APNEP. John Fear, deputy director of North Carolina Sea Grant and the Water Resources Research Institute of the University of North Carolina system, is looking forward to Voigt’s project on marsh ecology. “The overlap between North Carolina Sea Grant and APNEP allows both programs to benefit from the fellow’s research, while also providing professional development opportunities that will support the fellow’s growth,” says Fear. The competitive fellowship, now in its fourth year, requires graduate students whose institutions are based in either North Carolina or Virginia to conduct applied research within the North Carolina portion of the APNEP region. That region covers most of the Albemarle-Pamlico watershed, including the Neuse, Tar-Pamlico, Pasquotank, Chowan, lower Roanoke, and parts of the White Oak River basins. Voigt studies marine science and works with David Eggleston, director of NC State’s Center for Marine Sciences and Technology. “I like interacting with Erin because of her insatiable curiosity, strong motivation and creative problem-solving,” Eggleston says. Voigt will study how marsh species distribution, in particular native vs. invasive species, and wave exposure affect shoreline erosion and the availability of nursery habitats. She and Eggleston anticipate this work will identify factors that affect marsh shoreline erosion and growth along the Currituck, Albemarle, and Pamlico sound system. The study also will use an unmanned aerial vehicle (UAV, or drone) to map marsh habitat change overtime. She is originally from Severna Park, Maryland, and earned a bachelor’s in biology from St. Mary’s College of Maryland and a master’s in ecology from San Diego State University. North Carolina Sea Grant is a federal/state partnership, with funding from the National Oceanic and Atmospheric Administration, housed in the U.S. Department of Commerce. Learn more at www.ncseagrant.org. Details about this and other Sea Grant fellowships and funding opportunities are available at ncseagrant.ncsu.edu/funding-opps/. The Albemarle-Pamlico National Estuary Partnership is hosted by the N.C. Department of Environmental Quality under a cooperative agreement with the U.S. Environmental Protection Agency. Learn more at www.apnep.org.